Conferences, summits, meetups and masterminds. All things that involve you zipping up a Samsonite, kissing your family goodbye, and investing a few thousand bucks for the chance to connect with your fellow entrepreneur (while perhaps picking up a key insight or two). 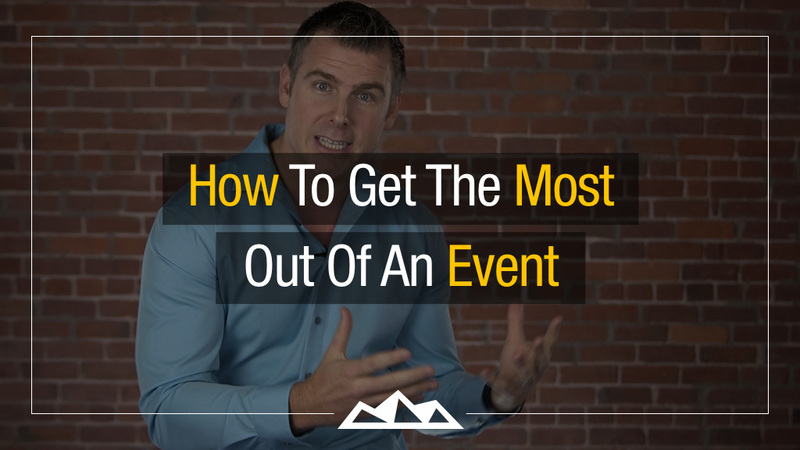 And maybe you absolutely thrive at these events. Or perhaps like so many others you shrink up and do your best to become invisible. But regardless of where you fall on that spectrum, one thing is absolutely certain. Building an audience BEFORE you launch is something that I’ve done for every one of my companies and is a question that I get asked about all of the time. There’s this misconception that people think that if you can launch a product – then you’re automatically going to have success. "If you build it, they will come" is NOT true. Are you familiar with Basecamp (a product from 37signals)? There are an estimated 49,256 people that move to San Francisco each year. I made that move in September 2008. To say that it was an easy transition would be a freakin' lie. After 3 weeks I hit a wall and almost returned home. Where will you be July 13th? I'll be co-hosting the International Startup Festival in Montreal with some of the brightest and smartest minds in the startup world. The startup festival is a two-day conference on the business of startups. It brings together industry veterans and fresh faces, thought leaders and technology giants from around the world, for a series of lean, fast-paced events. It includes startup launches, inspiring keynotes, and deep-dives into hot sectors like mobility, social networking, and gaming. Lessons From LeWeb 08′ – When It’s Good, Go With It! I just got back from the TechCrunch party at www.lewebparis.com. It sucked. Last night was definitely better (MySpace sponsored). The music was great, the people we're lively, and everything seemed too click. That being said, here's what I've learned over the past 2 days by attending LeWeb 08.